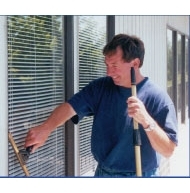 Bay View Building Maintenance, Inc.
Bay View Building Maintenance, Inc. is a leader in janitorial and building services in Oregon and Washington. Our clients are both small and large and we provide services to meet all needs. We have nearly seventeen years experience in the Portland Metro area. We are committed to providing excellent work with the highest level of customer service. We offer unparalleled customer service with a hands on approach to the details of your facility. We can anticipate and solve problems before they become problems. You can depend on us for immediate service. Copyright © 2017 Bay View Building Maintenance, Inc.